Large flowchart that illustrates all the ways in which the 36 techniques connect during the four phases of a real fight. 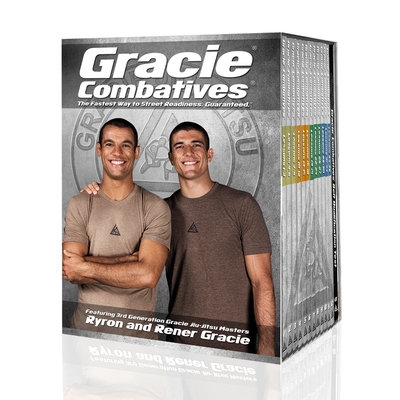 Gracie Combatives Flowchart (24x36") has been added successfully to your wishlist. Poster is included in the Gracie Combatives DVD Collection. This came with the blue belt combatives program and is an excellent reference for when myself and my training partners are practicing at my Gracie Garage. We simply refer to the wall chart and instantly see how the techniques flow and connect with each other. I highly recommend it but I would recommend purchasing the entire blue belt combatives program first which will include this chart. Gracie Family Platinum Collection View Sale!